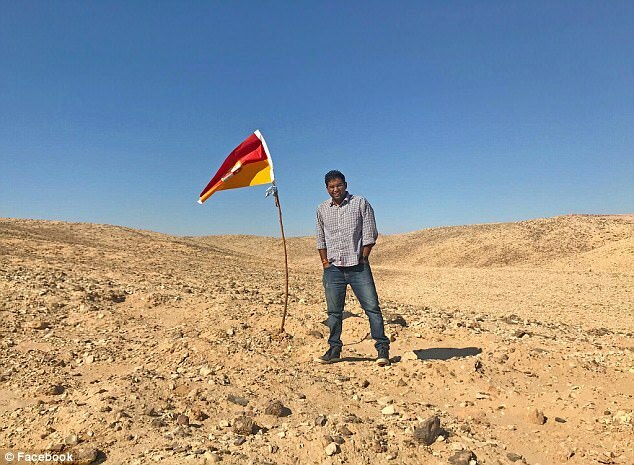 In a bizarre incident, an Indian adventurer has declared himself the ruler of an unclaimed strip of land in North Africa and is encouraging parties to apply for citizenship. 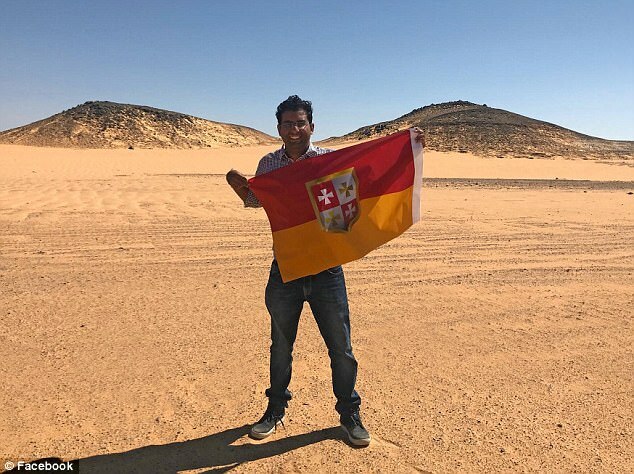 Hailing from Indore, the 24-year-old businessman travelled 319 km to Bir Tawil – an 800-square-mile strip of land south of the Egyptian border and the only place on Earth where humans can live and survive that is not a part of any state or country – and declared it his own. 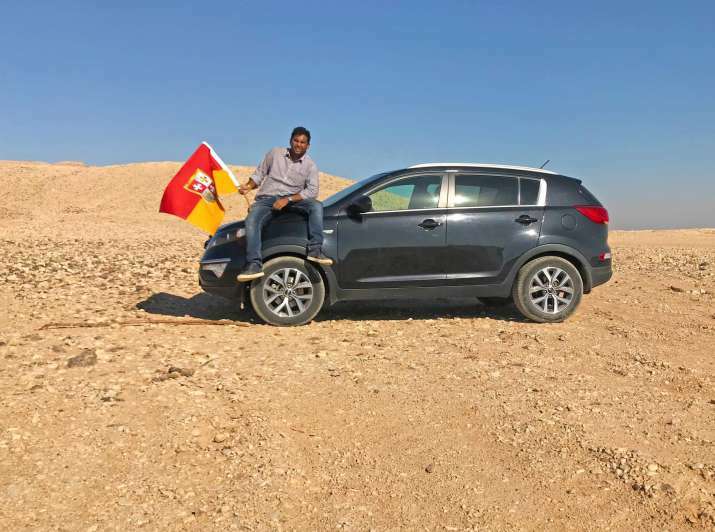 "I traveled 319KM (to and fro) in far desert with no roads to claim this unclaimed land of Bir Tawil. This 800 sq.miles of land belongs to no country. It is the only place on earth where humans can live and survive but is not a part of any state/country. Following the early civilization ethics and rule, if you want to claim a land then you need to grow crops on it. I have added a seed and poured some water on it today. It is mine." "It was an epic journey starting from Abu Simbel at 4am. I took help from a local driver Mustafa for the car and most part of driving. When I told him about the plan first he thought I am crazy but then he agreed (yeah I paid him a lot). I and @Suyog spent 2 nights planning a highly optimised route for my travel where we can take the car." "Just to tell how dangerous this plan was, the route that I took is under Egyptian military (it is an international border) and is an area of terrorists so military have a “shoot at sight” orders. But, if your bucket list ideas are not scary enough then they are not worth trying! And yes you need permissions to even enter the route that takes to this place. We got on 3 conditions, no photos of military areas (which is almost everything), you be back in the single day and you do not carry valuables. We drove for 6 hours straight in the middle of the desert and barren lands and crossing 1 military base to the location. We saw pure sand dunes, rocky hills, and canyons on our way. I left all my valuables back and told my local friend Esraa (she was very angry when I told her this plan initially so I kinda lied to her! Sorry Esraa! ) that if I am not back by midnight.. call the police. Now I know I am not the first one to be there. Now I know that some 5-10 folks have done it in the past as well but this is my land now (as I have officially planted the seeds following the rules) and if they want it back, there will be a war (over a cup of coffee at the Starbucks probably)!" We found 2 places to put our flag. 1 we call it the capital of KoD and other where we start our borders. In this epic voyage, there were times we thought the car just cannot make any far from here or we don’t have enough fuel now or we just don’t have time to cross that hill but a little courage and some math is all you need sometimes. I learned something from this trip… never try anything like this ever again! Here are some exciting stats about KoD. I hereby declare Suyog Dixit as the acting Prime Minister and the Head of Military (if we have any) from today. We are accepting applications for other posts. I am proud to announce my father as the President of KoD as a birthday gift to him. Happy birthday Papa! The United Nations has four criteria for statehood: a permanent population, a defined territory, a government and he ability to enter into relations with another state.